Two Daily Tournaments Now Deep Stack Events!!! 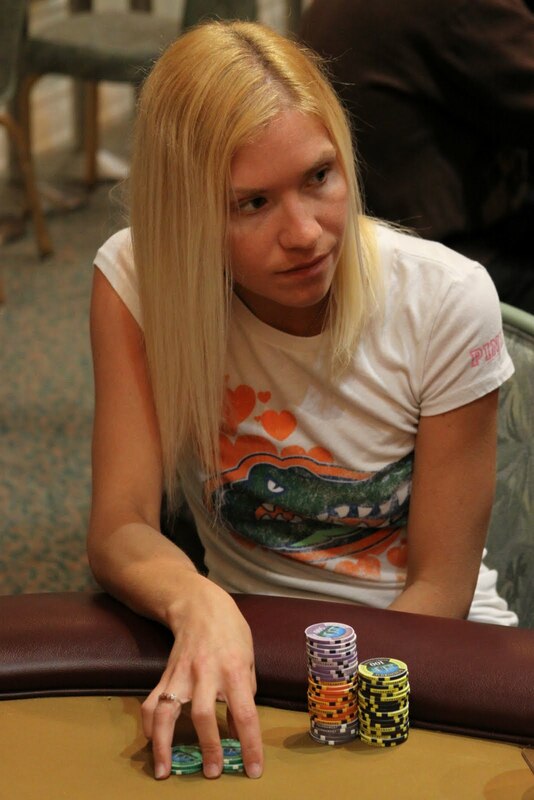 The Wednesday $240 No-Limit Bounty and Friday $340 No-Limit tournaments are now Deep Stack events. The starting chip stacks will be increased to 15,000 on Wednesday and 20,000 on Friday!!! 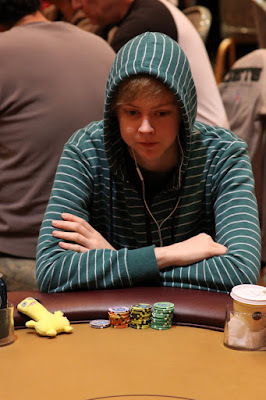 The board came [Js][3s][2d][8s][2c] and Taylor won the pot, eliminating Murray from the tournament. 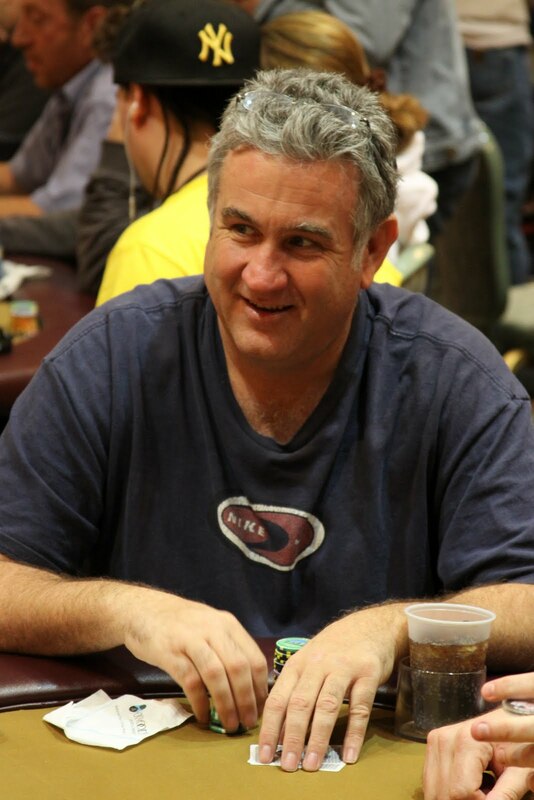 Kevin Murray had been crippled down to 12,000 in chips just a level and a half earlier. 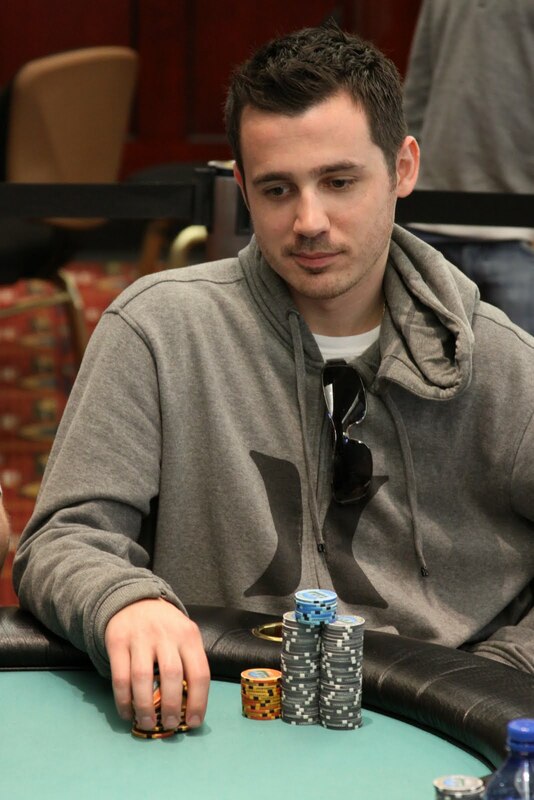 He made an amazing comeback to get back to over 400,000 entering the final table. Break Time with 7 Players Remaining. The final seven players are now on a 10-minute break. When they return, the blinds will be increased to 10K-20K with a 2K ante. 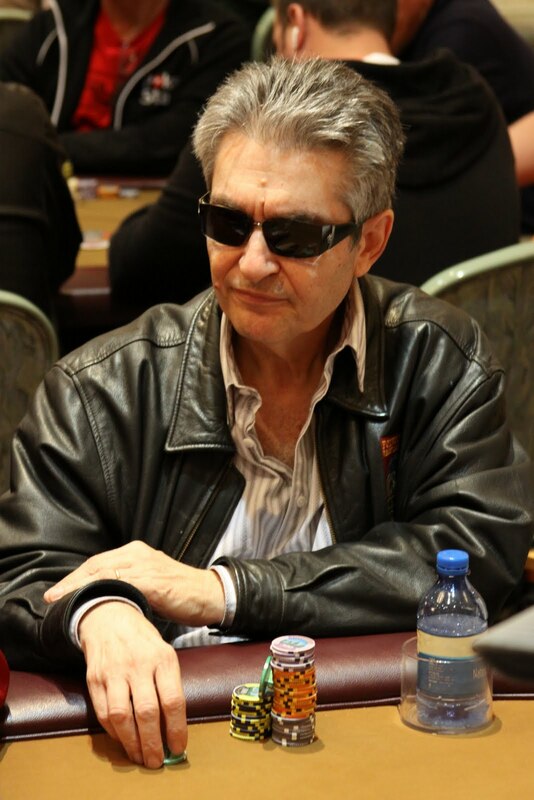 The blinds at the final table have been increased to 8K-16K with a 1K ante. The flop came [Ah][Tc][5h] and Woods took a huge lead in the pot after pairing his ace. 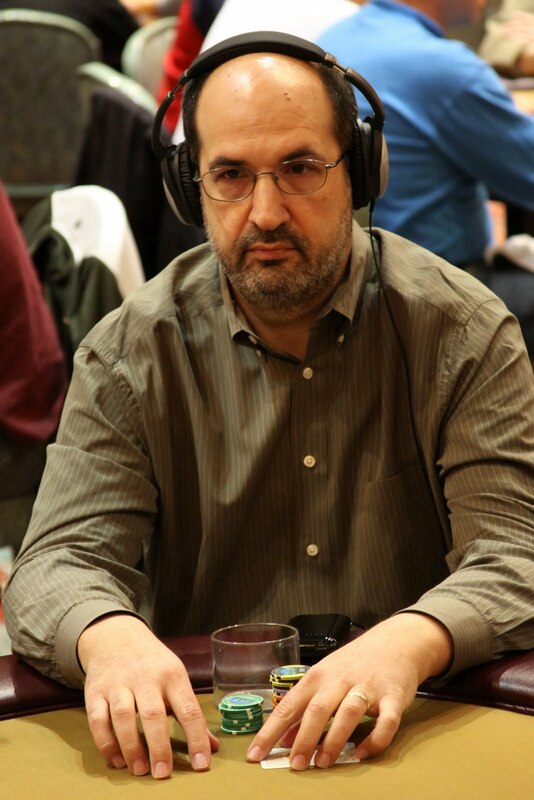 However, the turn came the [8d], giving Santiago a set of eights and the lead in the main pot. The river was the [Qh] and Santiago tripled up to over one million chips. 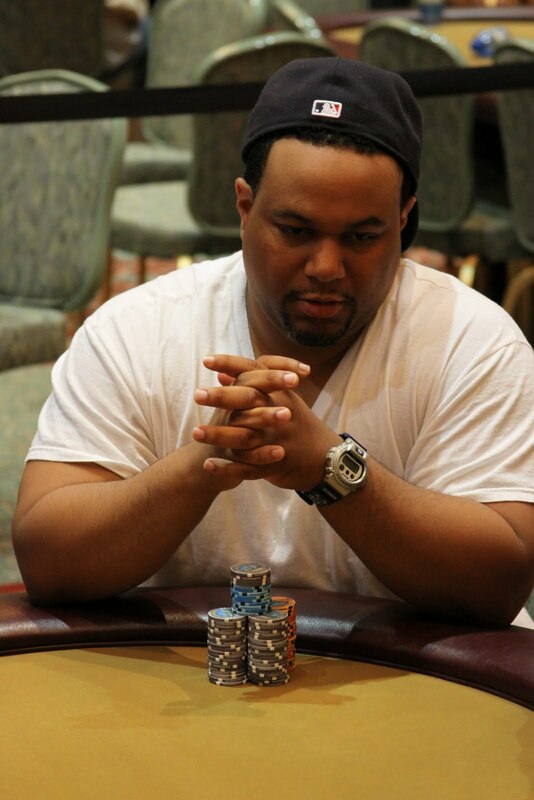 Woods won the side pot, eliminating Hicks, and putting his stack at just over 1.3 million. 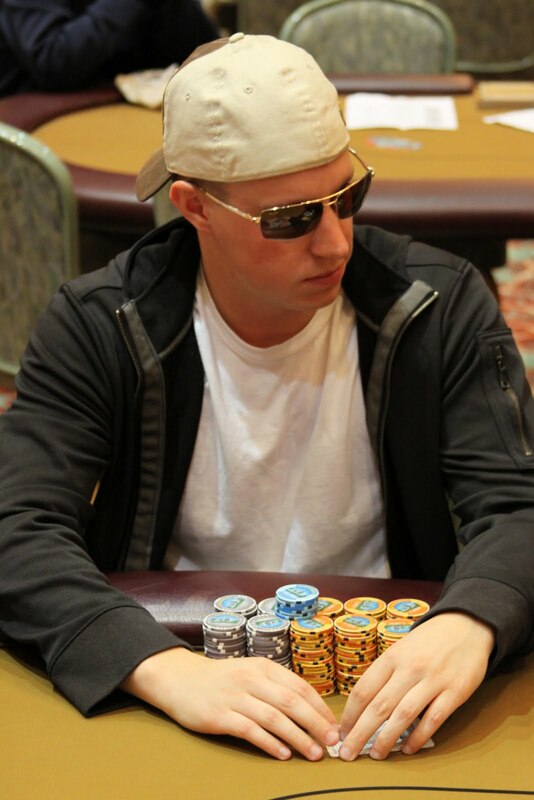 The board ran out [Jd][6s][3c][Jh][5c] and Hicks won both the main and side pot with his pair of aces. Gabriello was eliminated from the tournament in 9th place. Michael Huguenot has been eliminated from the final table in 10th place. 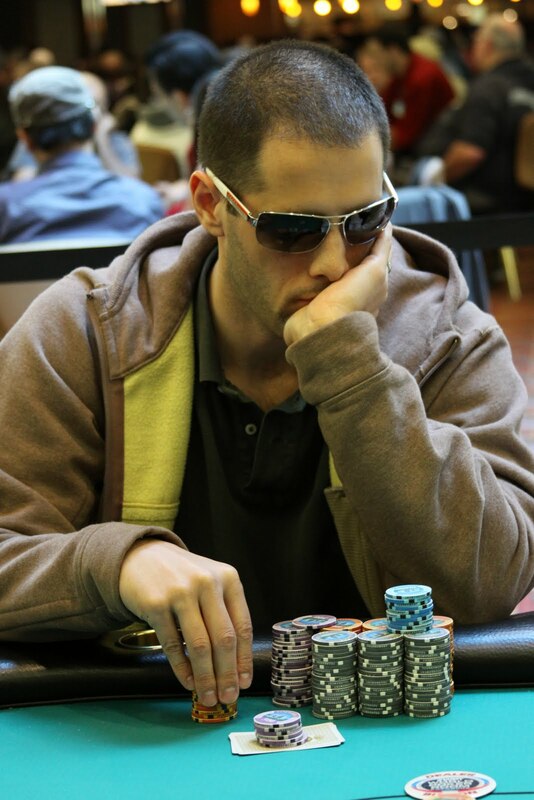 The blinds have been increased to 6K-12K with a 1K ante. The 14 remaining players have returned from dinner break. The blinds have been increased to 5K-10K with a 1K ante. The 14 remaining players are now on dinner break until 7PM. 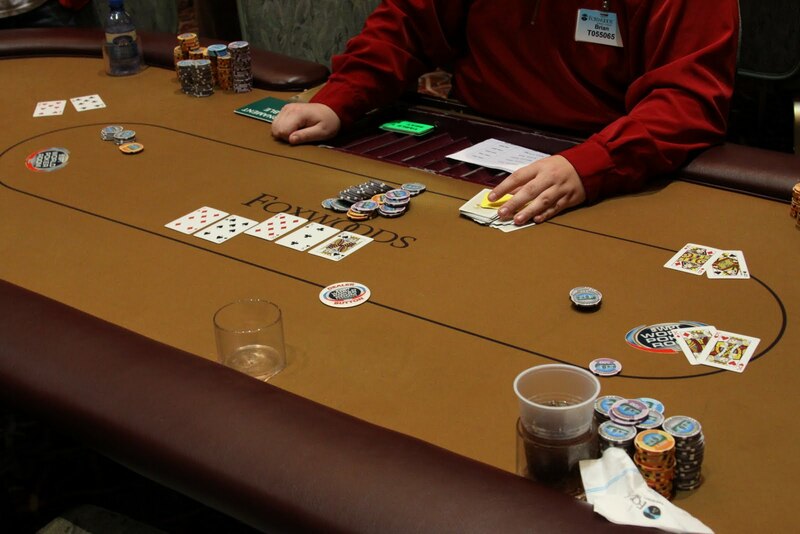 When play resumes, the blinds will be increased to 5K-10K with a 1K ante. The blinds have been increased to 4K-8K with a 500 ante. 2010 Foxwoods Poker Classic Main Event Champion and defending Mega Stack Challenge Champion Luis Vazquez has been eliminated from the main event in 20th place. Shortly after Vazquez was eliminated, Radhames Vargas was knocked out in 19th place. They both take home $3,637 for their finishes. We are officially in the money with only 20 of the original 166 players remaining. All players are now guaranteed at least $3,637. With 21 players remaining and top 20 spots finishing in the money, we are officially on the money bubble in the Mega Stack Challenge Main Event. The final 24 players are currently on a 10-minute break. Tournament officials are coloring up the yellow 100 chips. When play resumes, the blinds will be increased to 3K-6K with a 500 ante. 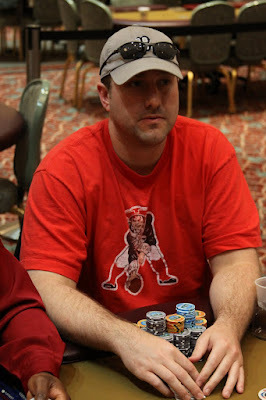 With 27 players remaining, we are down to the final three tables of the 2010 May Mega Stack Challenge Main Event. The final 20 players will finish in the money. Break Time with 29 Players Remaining. 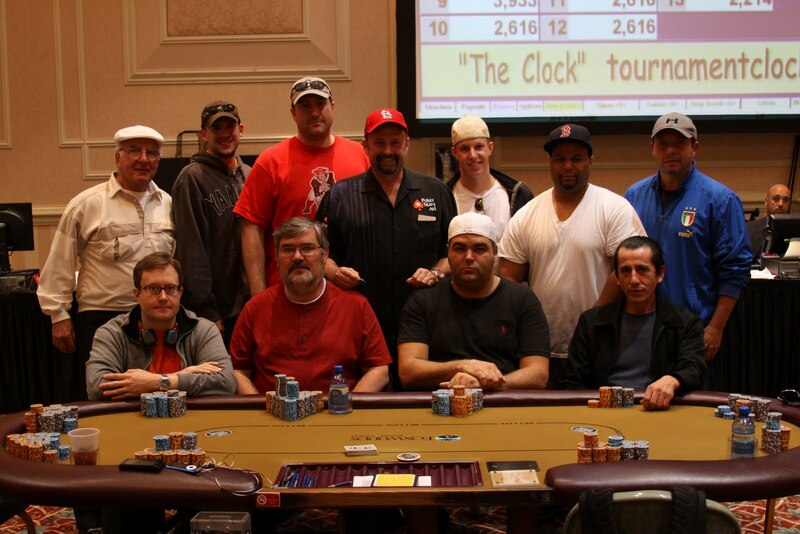 The final 29 players in the Mega Stack Challenge Main Event are now on a 10-minute break. 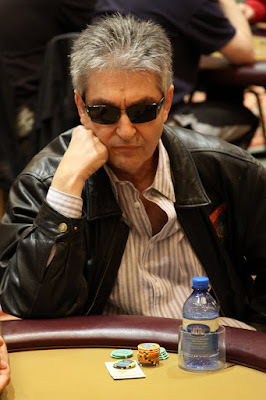 When they return, the blinds will be increased to 2,500-5,000 with a 400 ante. 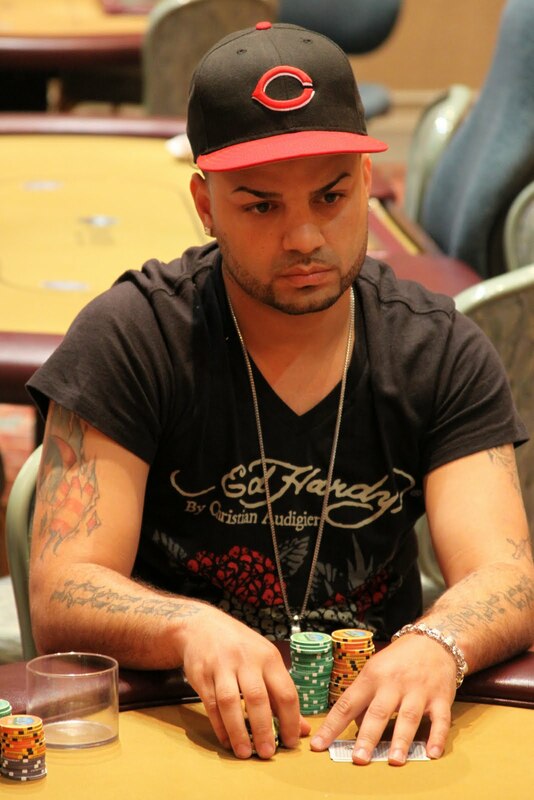 Luis Vazquez raised from the button to 8K preflop and Kevin Schaffel reraised from the big blind to 24K. Vazquez made the call and the flop came [Ks][7c][6s]. 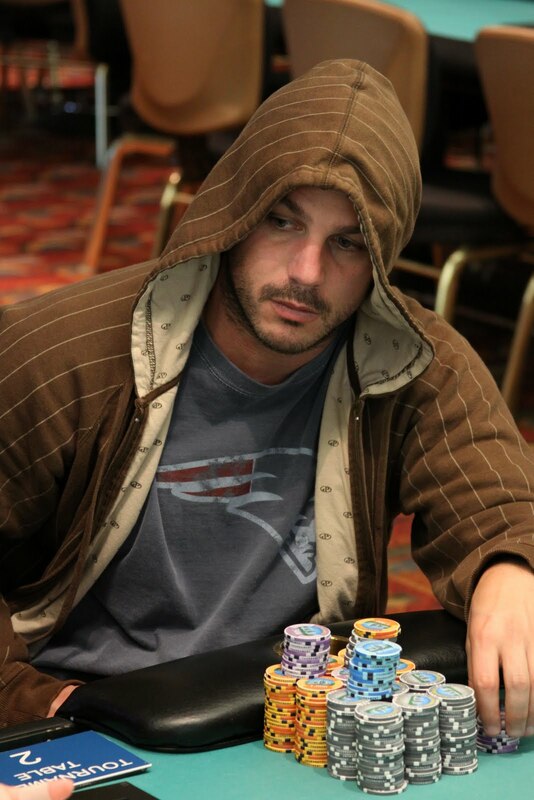 Vazquez announced "Nice hand" and started to count out his chip to send Schaffel's way as the turn came out the [Js]. 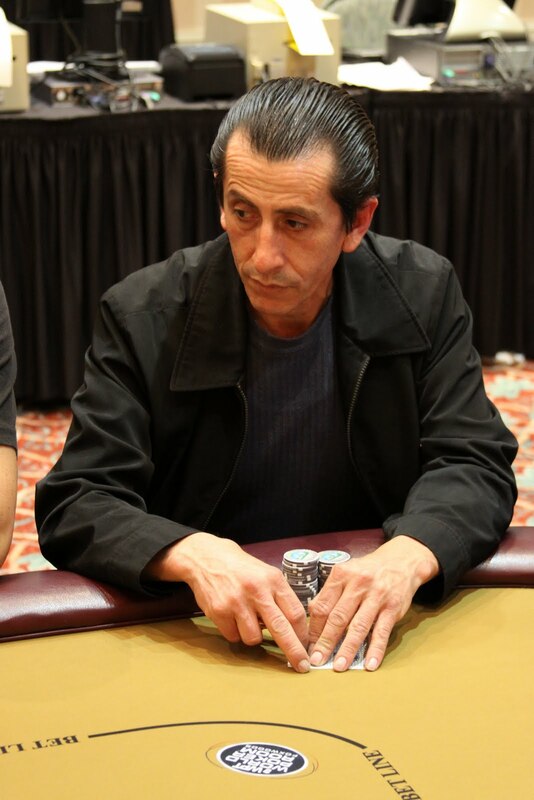 It wasn't until about four second after the [5s] hit the river did anyone at the table realize that Vazquez had hit a flush to take the pot. 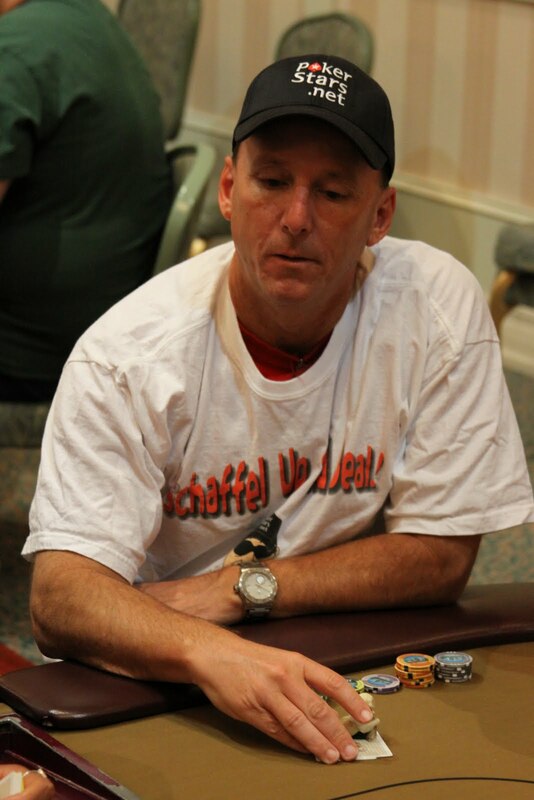 Schaffel, who is serving as host of the Mega Stack Challenge, shook Vazquez's hand and presented him with a hat and shirt before leaving the tournament area. 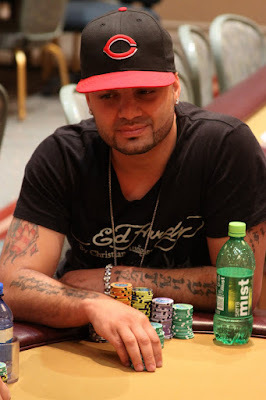 Play started at noon today, but Luis Vazquez was late and just sat down at his table. We are down to 41 players. Cards are in the air on day two of the Foxwoods Mega Stack Challenge Main Event. 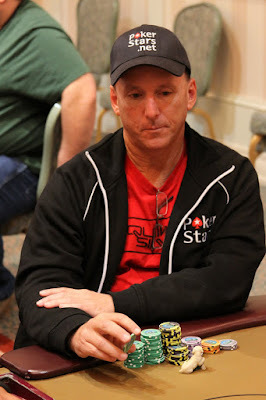 There are 47 players remaining and the blinds are starting at 1,500-3,000 with 300 ante. 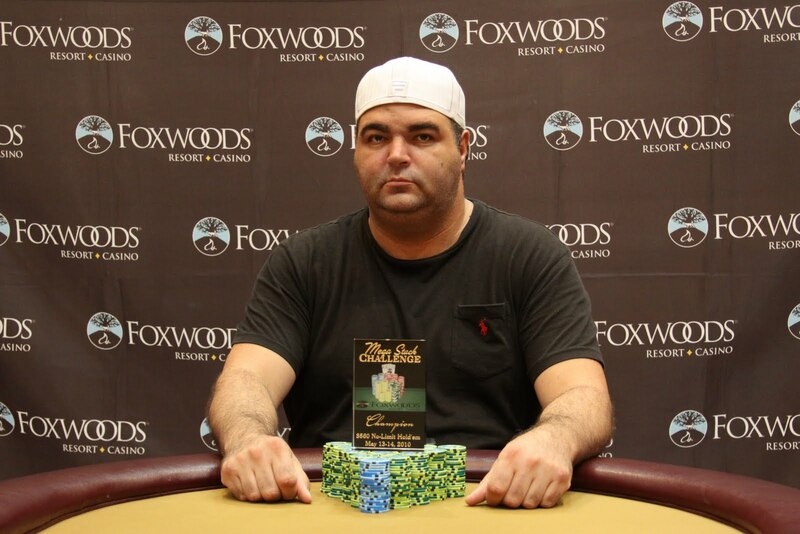 Play has concluded on day one of the $1,650 Foxwoods Mega Stack Challenge. Play will resume at noon tomorrow in the poker room. Schaffel had the lead with his pair of aces and Buckley was ahead in the side pot with a pair of kings with an ace kicker. 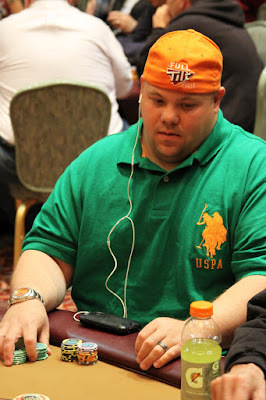 However, Loman had the flush draw and two pair redraw with two cards to come. The turn was the [7d] and the river came the [Th]. 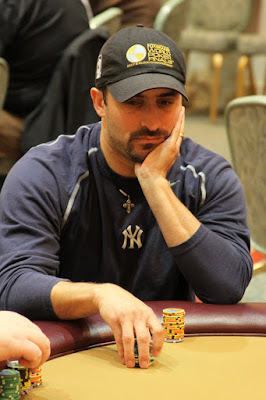 Loman missed his draw and doubled Buckley up to over 350,000. Loman was left with around 40,000. Schaffel won the main pot and tripled up to around 150,000. With just under 30 minutes left to play in the final left of the day, we are down to the final 50 players. This will be the final level of play today. 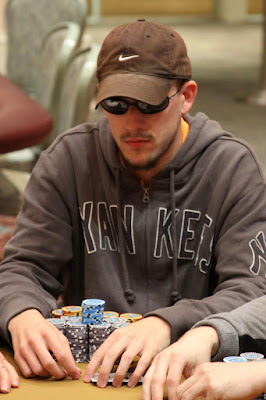 The board ran out [9d][3d][2h][2d][Td] and Kreymer's makes the nut flush to win the whole pot. 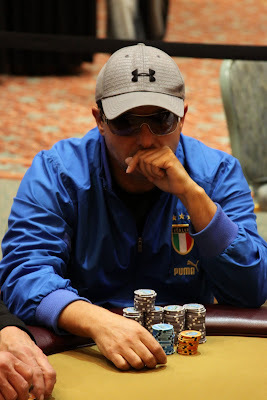 Melgar is eliminated in 8th place. 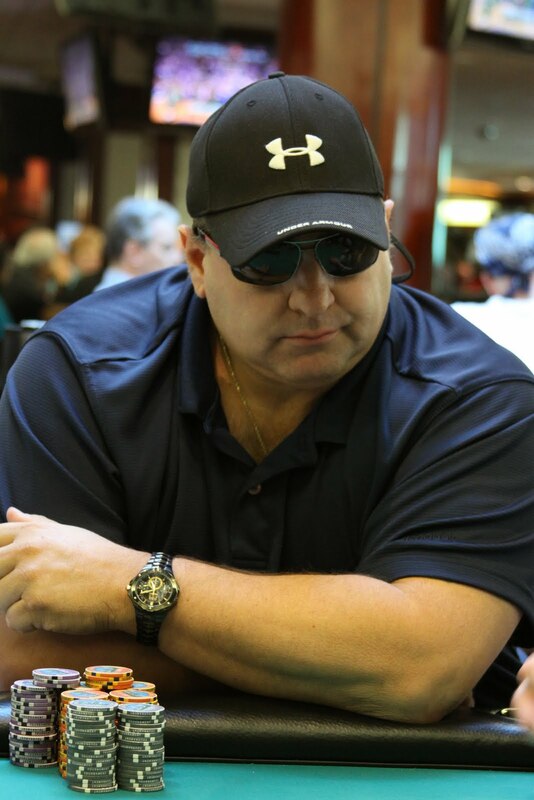 The blinds have been increased to 25K-50K with a 5K ante. The turn was the [6d] and the river came the [8h]. 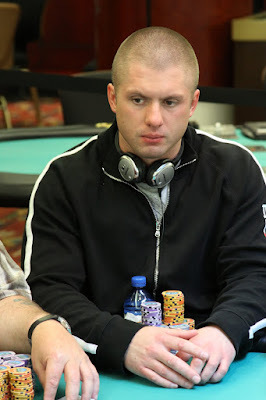 McCaffrey won the pot with his pair of tens and eliminated Bitondo in 9th place. The remaining nine players are now on a 10-minute break. 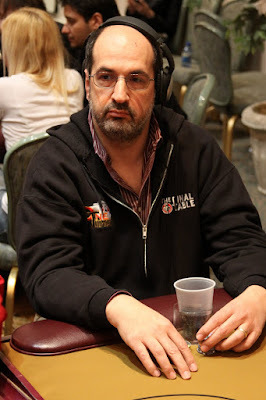 When play resumes, the blinds will be increased to 20K-40K with a 5K ante. The board ran out [Qd][7s][5c][6d][Tc] and McCaffrey's four held up to win the pot and eliminate Catala in 10th place. 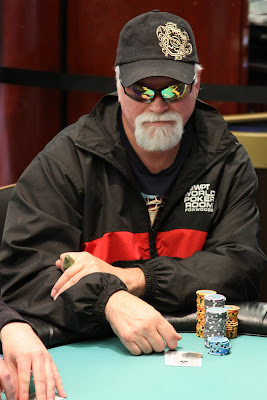 Talk radio personality Paul Harris has been eliminated in 11th place when his A-5 failed to improve against his opponent's pocket eights. The remaining ten players are redrawing for seats at the final table. The 16 remaining players are currently on a 10-minute break. 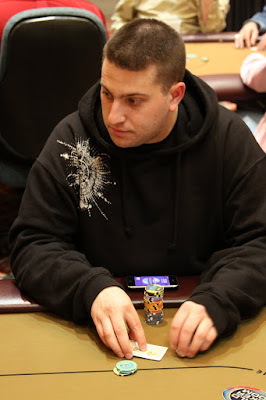 When they return, the blinds will be increased to 12K-24K with a 3K ante. The blinds have been increased to 10K-20K with a 2K ante. 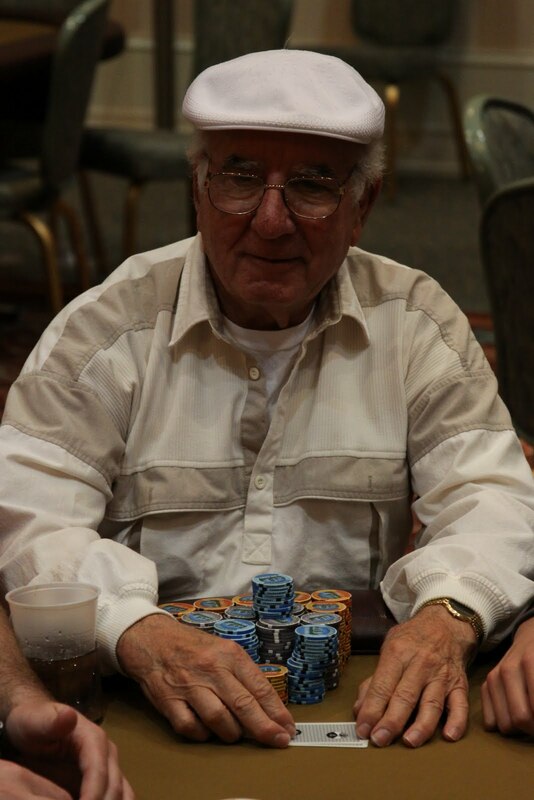 Play has resumed at the $560 Mega Stack Challenge event. The 19 players remaining in the $560 Mega Stack Challenge are now on a one-hour dinner break. We are down to our final 20 players in the $560 NLHE Mega Stack Challenge event. Players are currently drawing for seats at the final two tables. The remaining 27 players are now on a 10-minute break. Tournament officials are coloring up the purple 500 chips. When play resumes, the blinds will be 5K-10K with a 1K ante. 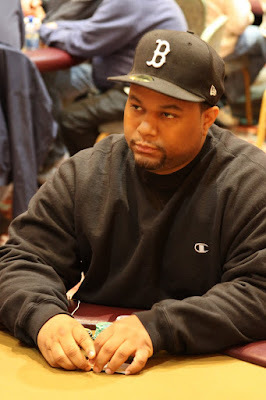 The flop came [Ks][8d][3c], giving Freeman a set and a virtual lock on the hand and double elimination. 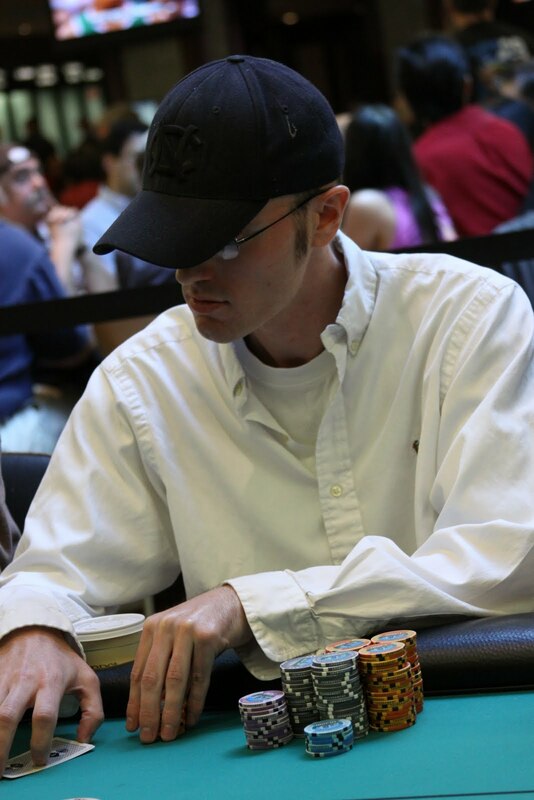 The turn came the [7s], giving Soer an smaller set and the very slimmest of hopes. However, the table erupted when Soer hit the [7d] on the river, giving him quads and tripling him up!!! Freeman took the monster side pot with his kings full and is now over 800,000 chips. 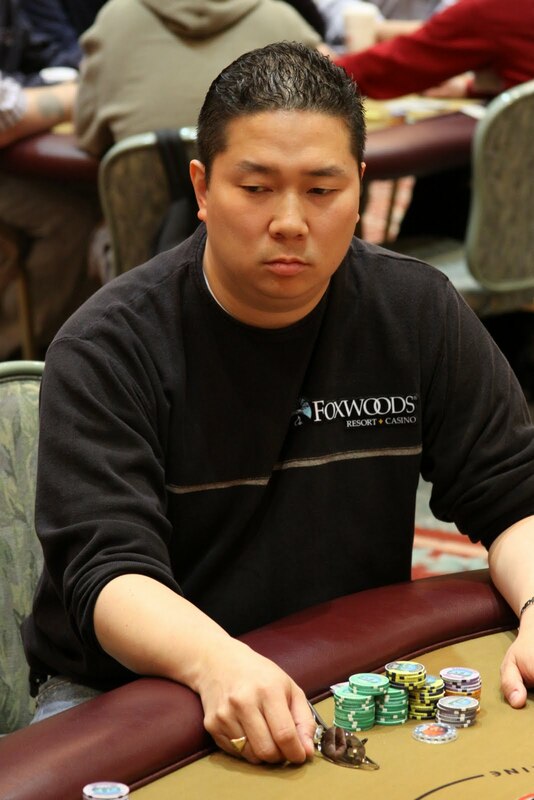 With 46 players remaining and top 45 spots finishing in the money, the bubble is burst at the Foxwoods $560 Mega Stack Challenge event. 2009 WSOP Main Event 8th place finisher Kevin Schaffel has been eliminated in 42nd place. Kevin, along with Dennis Phillips, are serving as hosts to the 2010 May Mega Stack Challenge here at the Foxwoods Resort and Casino. 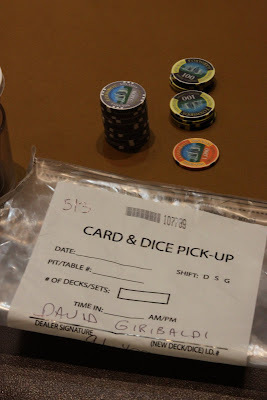 David Giribaldi ended day one with 91,400 in chips. However, he called this morning and had an emergency that he had to attend to and would not be able to make today's action. Despite that, Giribaldi has made the money. 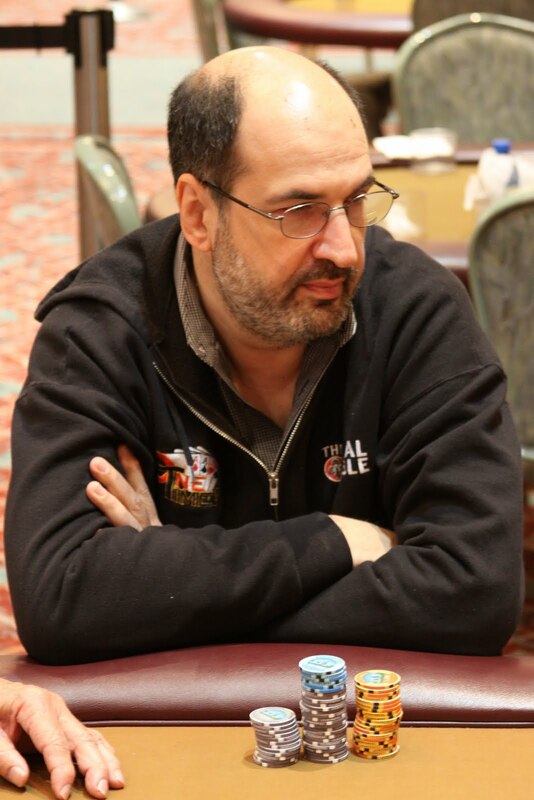 We are down to 41 players and Giribaldi's stack still has 12,000 worth of chips, which is less than one orbit. 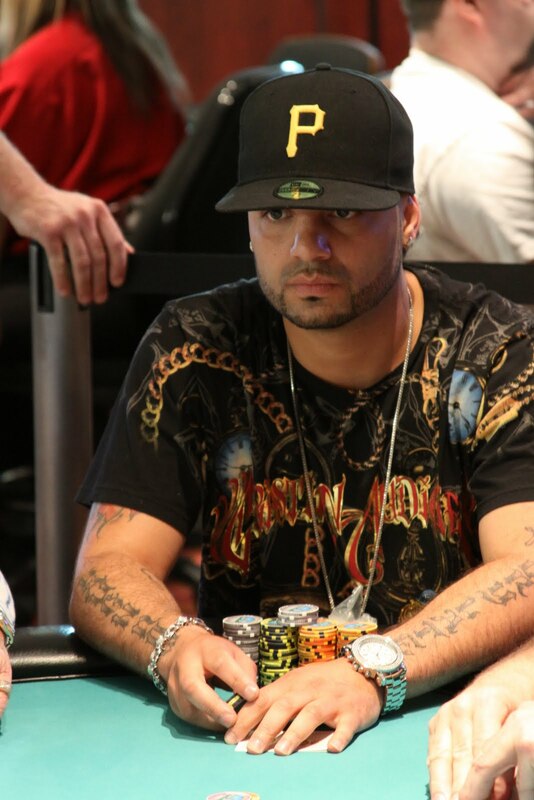 Alex "ags104" Santiago talks to Jay "WhoJedi" Newnum about his recent SCOOP victory and FTOPS final table as well as his plans for the upcoming WSOP. The bubble has burst in the $560 NLHE Mega Stack Challenge. 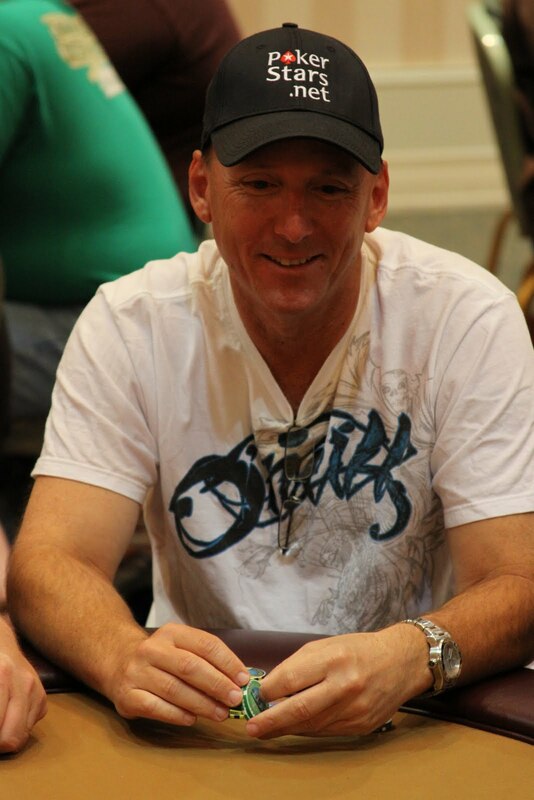 All 45 remaining players are now guaranteed at least $1,006. We are now down to 46 players with top 45 spots finishing in the money. The 49 remaining players are currently on a 10-minute break. We are now down to our final 49 players with top 45 spots finishing in the money. The blinds have been increased to 2,500-5,000 with a 400 ante. There are now 54 players left with top 45 finishing in the money. 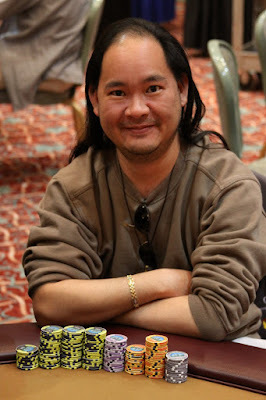 Ernie Hou has had an up and down two days here at the $560 Mega Stack event, taking some of he most brutal beats. Yesterday, Ernie called a players all in after the turn of a nine high board with J-9. His opponent turned over Q-T and spiked the queen on the river. 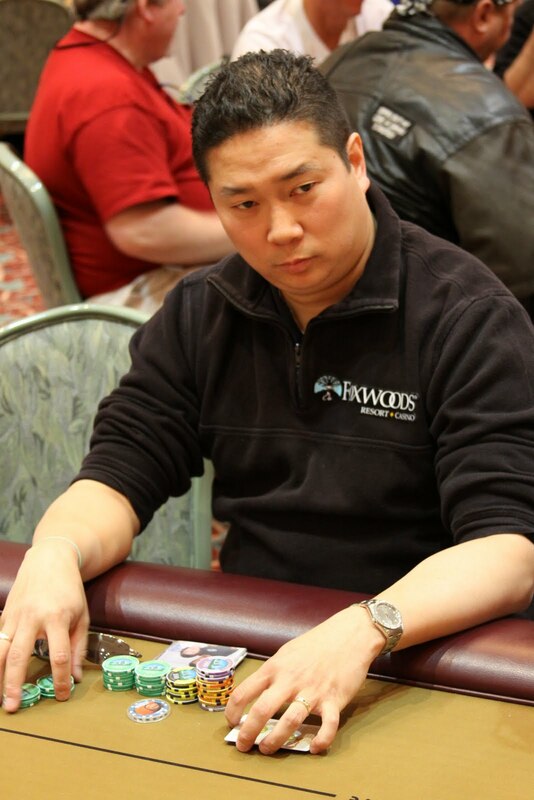 He built his stack back up and got another opponent all in with pocket eights against Hou's pocket kings. A king on the flop gave Hou a monster lead. However, his opponent caught runner runner eight eight to make quads. On the first hand of the day, Hou had yet another opponent all in on a board of K-K-x-x-x. Once again, Hou was on the wrong end as his K-Q lost to his opponent's A-K. 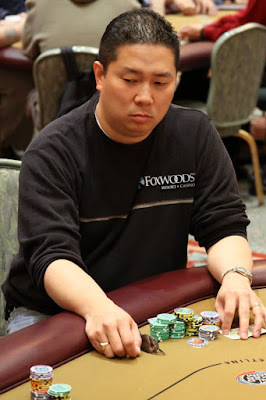 Despite all of those beats, Hou has survived and continues to build his stack with only 60 players remaining. 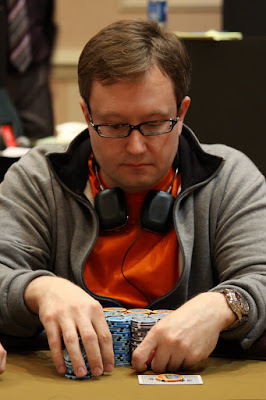 The final 61 players in the $560 NLHE Mega Stack Challenge have taken their seats and cards are in the air. The blinds are now 2K-4K with 400 ante. Top 45 players finish in the money and we will play down to a winner today. 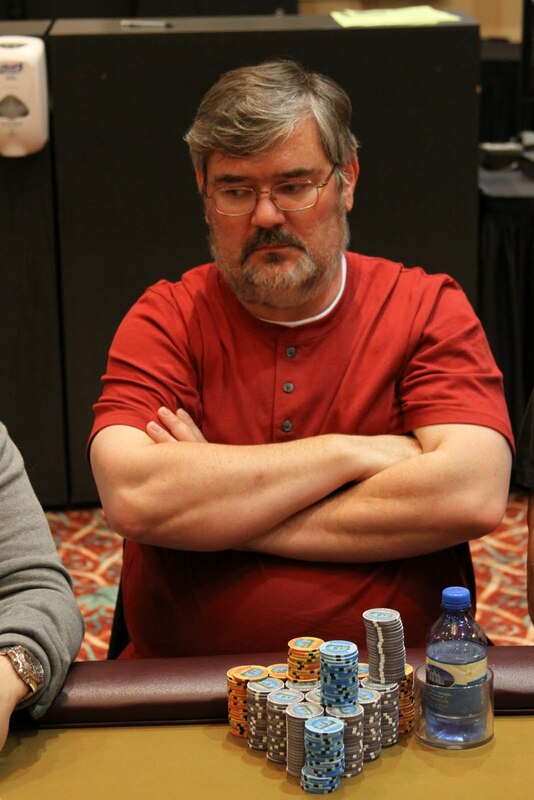 Dennis Phillips is eliminated from the $560 Foxwoods Mega Stack Challenge with less than 100 players remaining. 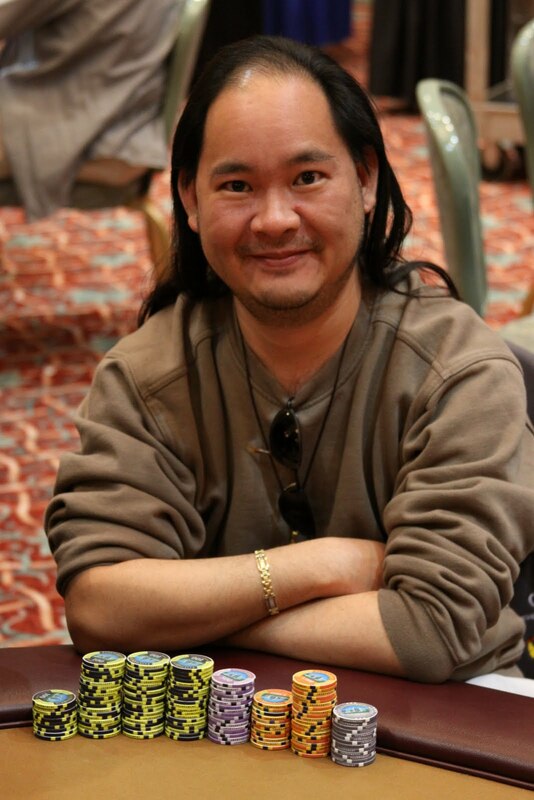 Day one of the $560 NLHE Mega Stack Challenge event has concluded. There are just over 60 players remaining with top 45 finishing in the money. 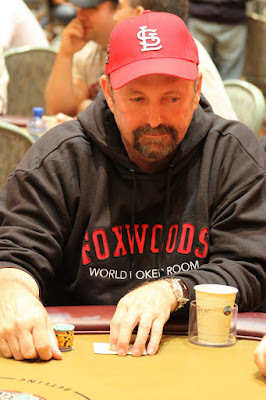 Stay tuned to www.FoxwoodsLive.com for all the updates, photos and videos from the Mega Stack Challenge. 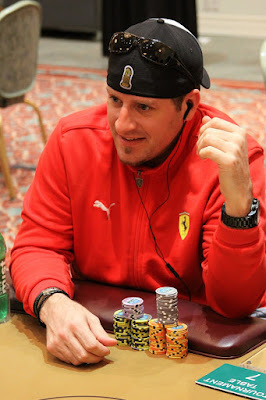 After fighting a short stack for most of the day, Kevin Schaffel got all of his chips in the middle preflop with pocket aces against his opponent's pocket nines. 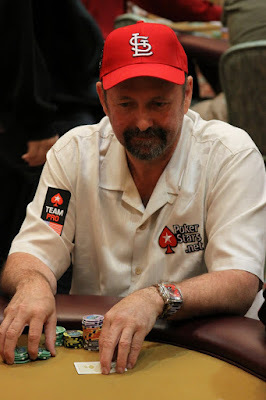 The aces held and Schaffel over now over 100K as we near the end of play on day one.